Jennifer Katrulya has joined the premier list of keynote speakers presenting at the 2012 Cloud Summit November 8th and 9th in San Diego, California. Ms. Katrulya will present a session titled “Key Growth Strategies for the High Value Professional Services Firm” which will focus on the challenges firms face in today’s economy. Amidst the increasing pressures that are commoditizing accounting services, competition for top talent can help a firm lead in the industry or struggle to survive, and clients are seeking real-time strategic allies in their professional relationships, not reactive, after-the-fact services. Hence firms that are leveraging cloud computing and industry best practices to create client-centric, high value product and service offerings are facing these challenges head on and finding a path to unprecedented growth and profitability. Jennifer Katrulya will discuss the top strategies leading firms of all sizes are utilizing to succeed, and how to create a plan that will maximize a firm’s results. 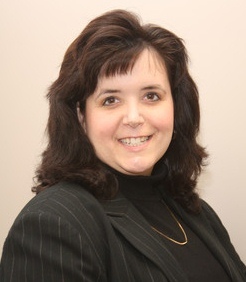 Jennifer Katrulya is a licensed CPA and President & CEO of Business Management Resource Group, LLC (BMRG). Since the firm’s launch in 2004, BMRG has provided outsourced accounting and advisory services to several hundred small and mid-sized privately held companies. In addition, Ms. Katrulya provides advisory and mentoring services to small and large accounting firms seeking to establish best practices, educate and motivate management and staff during periods of change, and streamline integrated processes in a hosted and SaaS environment. Prior to starting BMRG Katrulya’s experience included over 10 years in public accounting with a specialty in technology consulting. She was also the controller for a multi-state staffing company where she managed 19 remote offices and a staff that processed weekly payroll for over 7,500 agency employees. Offering 18 CPE credits, Cloud Summit 2012 provides attendees with a unique conference experience featuring educational sessions, user trainings, vendor solutions and one-on-one practice evaluations. Held at a private 44-acre Island the Summit affords attendees a retreat at Paradise Point, a private resort island in San Diego with picturesque backdrops – a perfect environment to relax, get educated and stay informed. The Summit’s all-star lineup of Keynote speakers includes Randy Johnston, Doug Sleeter, Chris Frederiksen, Jennifer Katrulya, and Robert J. Chandler, all of whom are award winning and recognized visionaries in the technology and accounting professions. Attendees to the Cloud Summit will have the opportunity to tour a SOC2 Type II and SSAE16 certified Data Center with state of the art security systems, uninterrupted power supply, heating and cooling distribution as well as a 24×7 Network Operations Center. Registration for Cloud summit 2012 is available at www.cloudsummit2012.com or contact (888) 869-0076 for more information.